The conceptual image is one that lets you interpret the scene in many ways. Someone thinks one thing while someone else’s idea is the opposite. See the process with this photo. Here we have colorful tents lined-up (to accommodate different schools visiting a water park). Someone else says it reminds them of crayon tips in the sky. Another thinks of the circus, etc. It could mean the 5 elements of your company Vision Statement. The many interpretations make it a strong candidate for conceptual imaging. When graphic designers need inspiration, they turn to conceptual imaging to communicate complex ideas. The Lakeside Chairs image fills that need. You may want to portray teamwork or total zen, no matter, it will communicate strongly. The key is to keep the image generic and let the viewer fill in the blanks. Of course this is a whole new look at duets. The mom and daughter team could be used for parties, events, office gags, etc. A conceptual photo can generate so many different feelings and ideas. This image, Barbed Wire Life – from the Colors collection does the same thing. An ideal candidate for editorial tie-ins like for a prison life feature article. That’s why creatives and business professionals come back to conceptual imagery for their special projects. 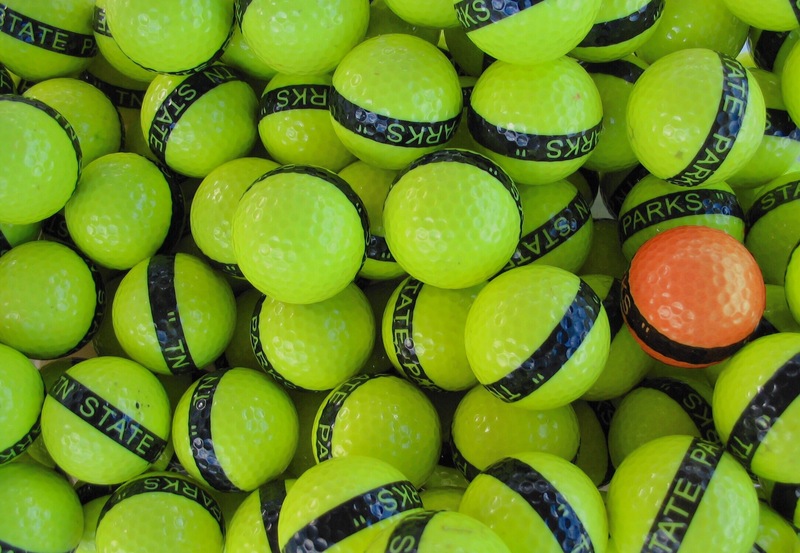 These golf balls are a perfect example of a conceptual image. Although it only shows coloured balls, the different one invites all kinds of concepts. You’re probably thinking of one now. Here is a caption that could work: “There’s One In Every Family”. Other scenarios could be “Standing Out In A Crowd”, “Be original”, “Star Employees Always Stand Out!”. Finding conceptual photos gets easier with practice. This image is powerful on its own, but when we add the cancer logo to this Boxing Gloves image, it makes it stronger. No words needed here! We don’t have to be complicated. Some photos are so visual and poweful, your mind takes milliseconds to decipher the message. No matter how you look at this “flags” lineup, it’s a striking example of a conceptual image that demands attention. Here are possible scenarios that the concept can communicate. “All Eyes On Canada” – “Canada & Friends” – “Canada Is Hosting The World” etc. So, conceptual images need to be simple and powerful. You’ll know one when you see it. The ideal place to study photos for potential candidates, is a stock photo agency. There, you can take your time and find the right photo. You can also type “concept” in your search to get those images that have been tagged conceptual. Look at images and concept them for yourself, it’s fun and gets easier with practice. This image I call Freedom as that was my intent when shooting it and I also know that my cousin Gary can’t go swimming until the leg is off! For him, it’s the freedom to swim. The political lines to follow inside Parliament are evident by the beautiful gothic revival style that is the Rotunda. The workmanship and detail make the visit worthwhile as soon as you enter. The love of gothic architecture continues outside on Parliament Hill with stone walls, turrets and gargoyles. These images are part of the 250+ Canadian Parliament collection by Michel Loiselle. Photos start at $12 and are available for immediate download. Images are edited for color accuracy and noise, making them ready for publishing online or in print. The intended audience includes web and print designers, advertising and communications agencies and publishing houses. The audience also includes corporate business, Parliament Hill, diplomats and creatives. When your project needs to portray Canada, this important collection will serve you well. See the portfolio at mostphotos.com. It all started with this image. I license images to graphic designers at communications firms, advertising agencies and publishing houses. Those who purchase it usually do so for their clients needing a Web site, brochure, cover page or newsletter. The client may have requested a very “Canadian feel” for the piece and the designer found my Spring Politics photo on a stock photo site such as Shutterstock.com. In fact, most clients never know that I’m the photographer for their project. To them, it’s just (ghost) stock photography. Who takes the photo is not as important as getting the right image. So how do I know where my stock photos are on the web? I don’t always know who’s using my photos so I call on Google Images. It works by uploading your actual photo in the search box and letting Google find it for you on the web. I call it “Reverse Search”, instead of entering keywords, you enter an image. That’s how I discovered the CERC Annual Conference e-mag article – Targeting talentism. When I saw how they used and designed around my photo, I was glad… “this looks great”, the look is clean, tasteful right down to the use of fonts. When taking this photo, I knew that designers would have fun with this area, making the image a good candidate for a cover page. So one more photo has gone full circle. I’ve created the image, published it to stock agencies and in the Canadian Parliament collection, then licensed it. I found the client with reverse search, and now can appreciate how it’s being used. It’s fun to see how other images turn out! As a stock photographer, it is very humbling to see the designers of CERC do such a great job with the photo. We always hope for this kind of turnout for our images and I get a good feeling when it happens to me, I feel good about what I do.